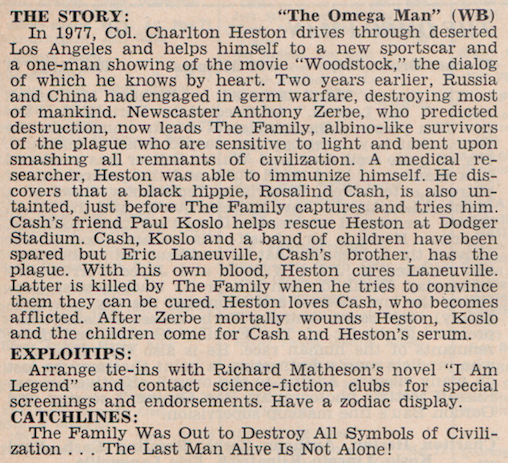 Warner Brothers unleashed their first adaptation of Richard Matheson's I Am Legend on the world on August 1, 1971. 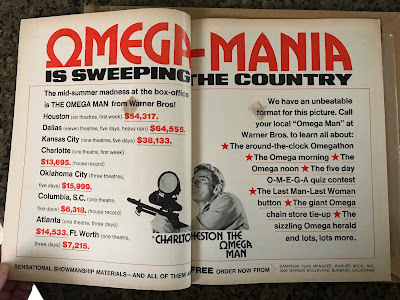 The Omega Man starred Charlton Heston as Robert Neville, believed to be the last normal man on Earth living in Los Angeles following a plague unleashed due to a Russian/Chinese conflict. Said plague killed off most of society, and left the remainder a gathering of deranged mutants with an aversion to light that drives them into hiding by day. Directed by Boris Sagal, the liberal adaptation was written by the husband and wife team of John William and Joyce Corrington. 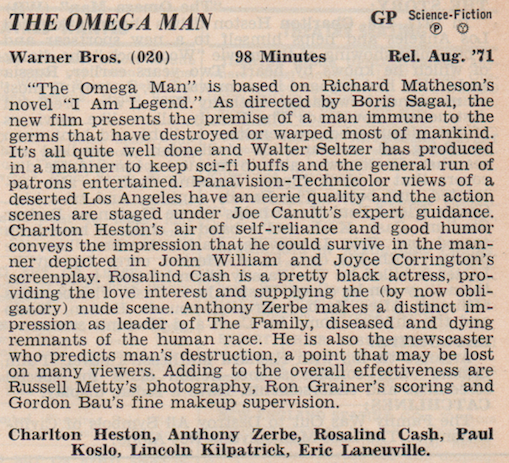 A pre-Exorcist William Peter Blatty would also provide an uncredited polish on the screenplay. 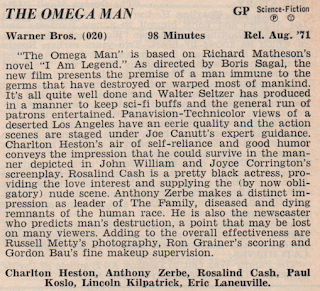 While the film is quite far removed from Matheson's original novel, it's still an entertaining piece of 70s cinema, and pairs nicely with Heston's other sci-fi efforts of the period, Planet of the Apes and Soylent Green. 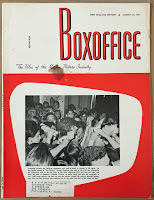 The August 16, 1971 issue of Boxoffice (Volume 99, Number 18) trumpeted the early success of the film in a number of territories, including house records in Charlotte, North Carolina and Columbia, South Carolina. Now granted, a $64,000 opening in eleven theaters over five days in Dallas (with heavy rain!) is nothing in today's numbers, but back when the average ticket price was $1.65, it's a little more impressive. 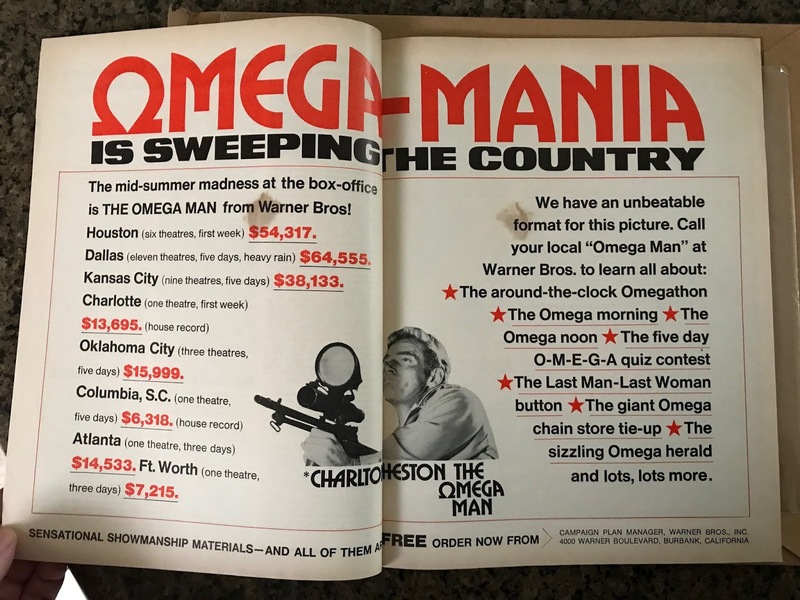 What's even more intriguing to fans of the film are some of the promotions hinted at in the two-page spread Warner paid for. 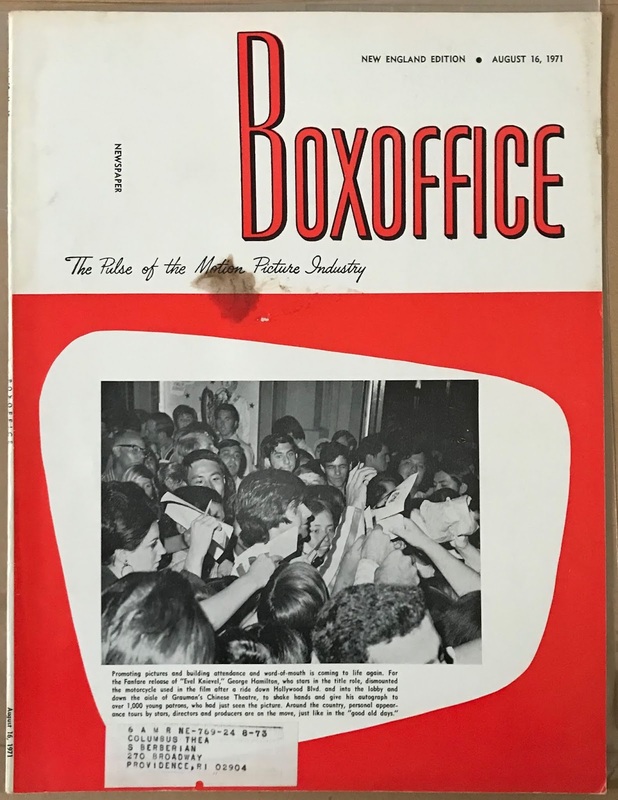 This issue of Boxoffice also includes a synopsis of the film, catchlines ("The Family Was Out to Destroy All Symbols of Civilization" and the more effective "The Last Man Alive is Not Alone!") and exploitation tips (have a zodiac display?) and a generally positive review of the film. Sad to say we lost actor Paul Koslo on January 9, 2019, who played 'Dutch' in the film. 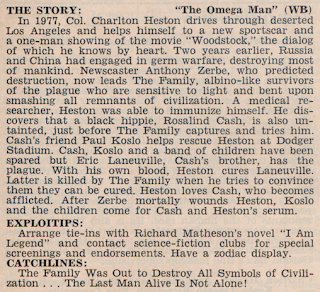 You can read an interview with Koslo, as well as Charlton Heston, at the I Am Legend Archive.